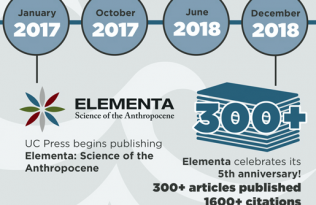 Elementa: Science of the Anthropocene is an open-access, non-profit, interdisciplinary environmental science journal published by UC Press whose mission is Open Science for Public Good. 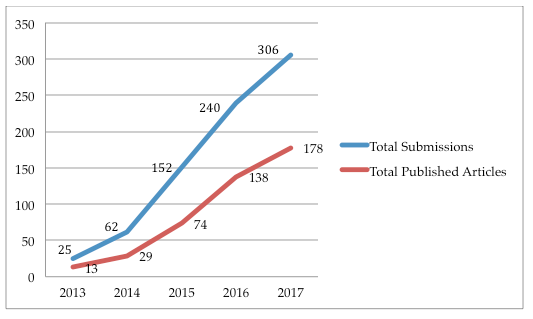 In light of this mission, we’ve highlighted some key article- and journal-level metrics that demonstrate how Elementa‘s open, accessible research has a wide reach and impact across a global audience. 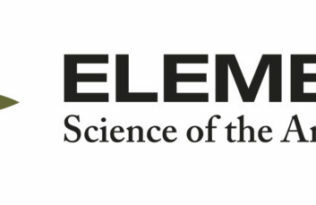 Additionally, Elementa has been fully accepted into the Science Citation Index Expanded and received its first Impact Factor in June 2018: 2.838. 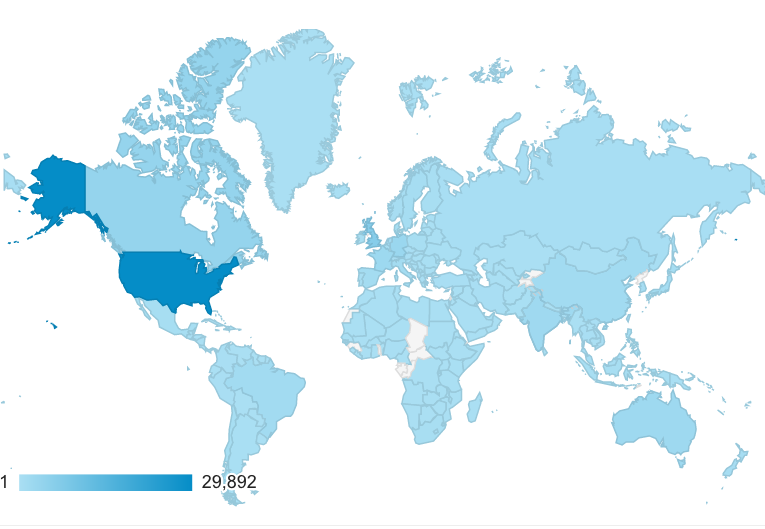 Steady audience growth with 67% of traffic being new visitors (2017). Combined reach of 65k on Facebook and 15k on Twitter across Elementa and UC Press social media. 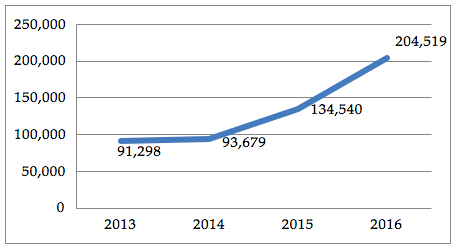 Average total usage is 12,835 views & downloads per article (2013-2017). 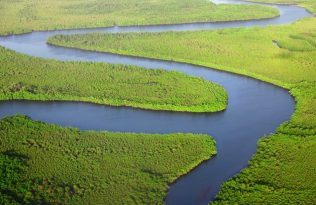 Average production time is 20 days from acceptance to publication. 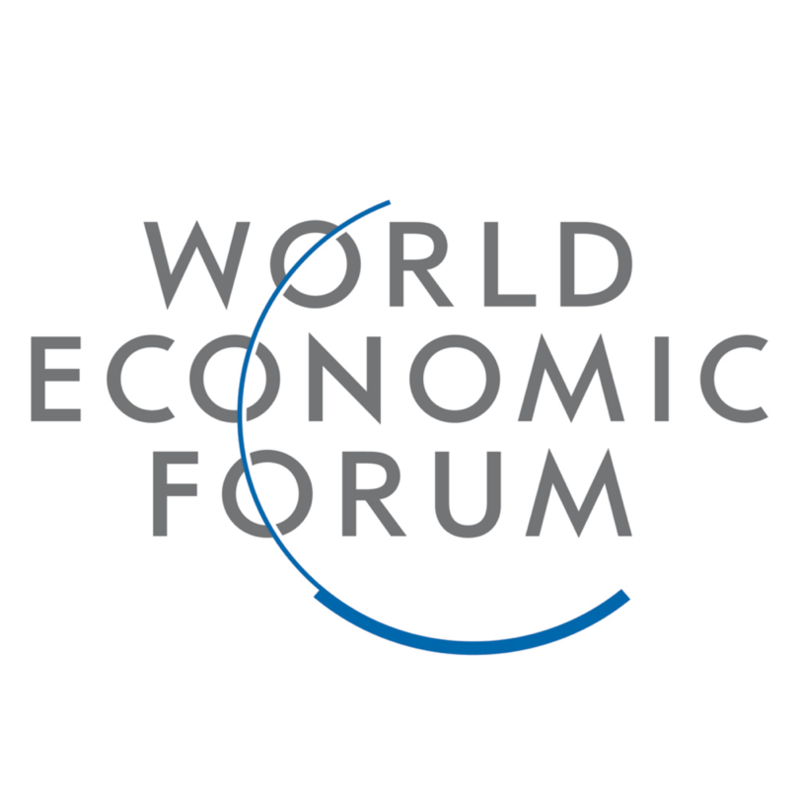 Elementa articles have been featured in the following media outlets, among others. 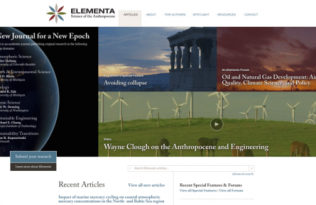 Elementa: Science of the Anthropocene was founded by BioOne in 2013 through a partnership with five research universities: Dartmouth, the Georgia Institute of Technology, the University of Colorado Boulder, the University of Michigan, and the University of Washington. Please visit our Founders page for the full history.